Last year we got a real Christmas tree (just a small one) in a pot, thinking - oh we'll have this for years and I don't have to cut a real tree down. And then the poor thing promptly died right after the big day and I felt terrible. 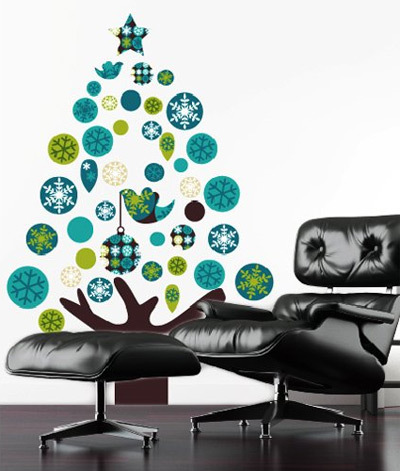 This one tops the list for me; the decal is fabric and reusable. Very important for prying fingers. In fact, you can wash it in water and it retains its sticky back! Thanks to Echidna Place in Bangalow, NSW for the introduction to the wonderful world of Mae. Available in eight colour combinations. 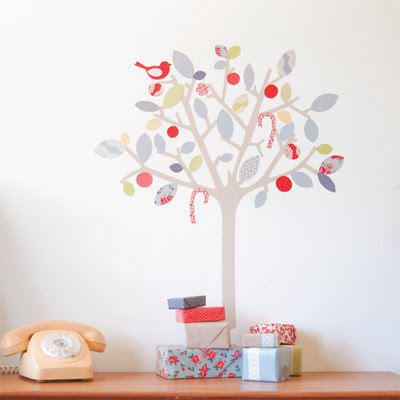 The Delicate Tree, available in any colour from the colour chart. 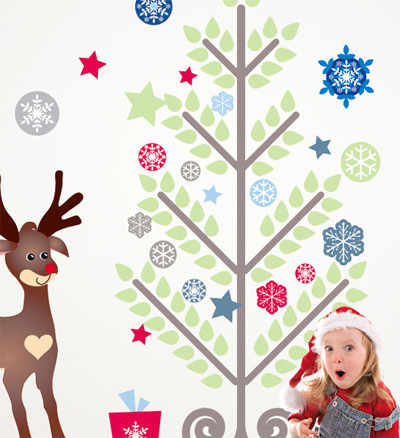 And look out for upcoming Christmas designs from Aussies My Munchkin Home. 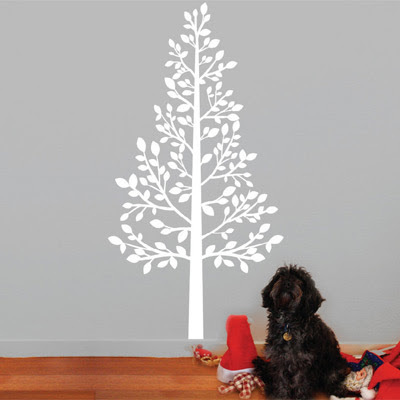 Let me know if there are any other Aussies out there making great Christmas or festive wall stickers. This is a fantastic idea... I reckon I like Mae's the best, but DAMMIT, they're all gorgeous. How many christmas trees can one house have? The love mae one is my favourite too! our real tree christmas tree died too (but about 6 months after the big day - total neglect!). i was so sad and upset. Mae have such sweet pieces, don't they, and cute styling too. Great idea! I've always hated the idea of cutting down trees too. At least it's not as bad here in Australia as it is in other places. These are fab - what a great idea, not a pine needle in sight! 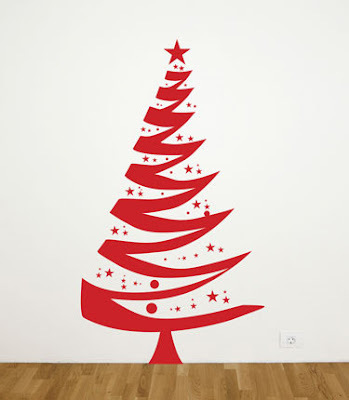 I love the interiorinstyle.com.au range of Christmas Trees - these guys lead the way i think with Christmas designs and getting creative with wall stickers for the home. Well done on bringing all of them together - love them all!!!! 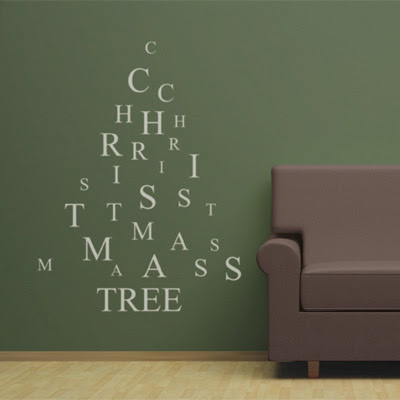 The Wall Sticker Decal Company's entry is brilliant, classy. great idea. I was stuck with what to do this year with a little man under 1 year who loves to pull down everything. now i just have to choose one!